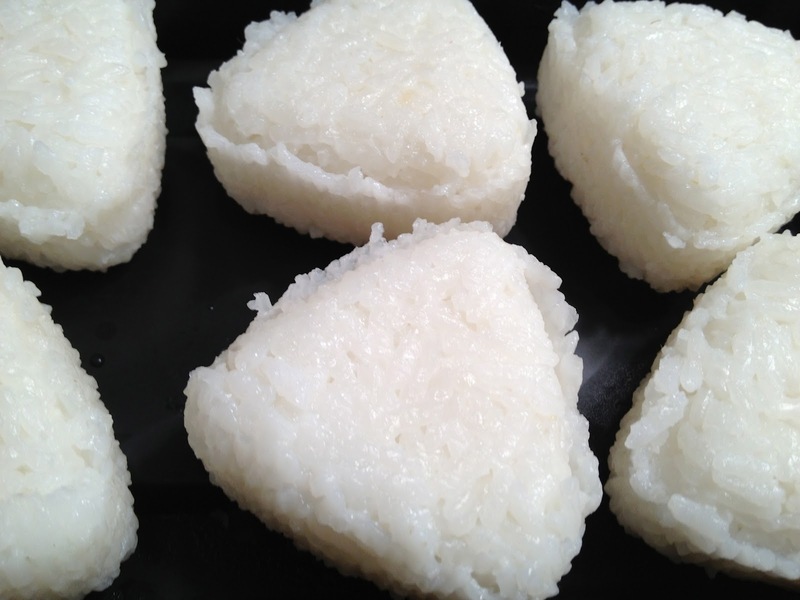 My son is in school with two Japanese girls (one is half Japanese/half Italian and one just relocated from Tokyo) and their favorite lunch is onigiri, rice balls. My son asked me to make them and, of course, I had to oblige. I asked my friend what kind of rice I should get – sushi rice, sticky rice – and she said, “Just rice!” So I got Japanese rice, Nishiki brand. The first time I made them I used an ice cream scooper to form the balls, dipping it into water first, and then scooping up the rice but it was kind of messy. I found these molds which makes the whole process easier and they really pack the rice in. Plus, my son loves the triangles. Cook rice according to the package. Season with salt and mix well. Let cool enough to handle. Press the rice into the mold and pop out. Place in a container and store in refrigerator until ready to eat. 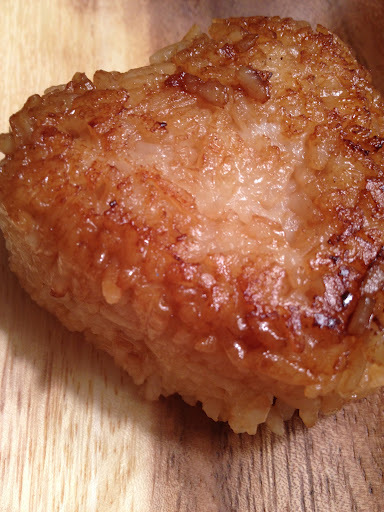 For a fun twist, heat up sesame oil in a pan and fry both sides of the onigiri. Take it out of the pan and place it into a shallow dish with tamari. Cover all sides and put back in the pan. Fry until crispy on the top and the bottom. Yaki Onigiri!